Jeffrey has been serving clients as a financial advisor of The Legend Group since 1987. Jeff is a graduate of Niagara University and holds a Bachelor of Science degree in Business Administration and Accounting. 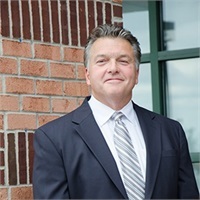 Jeff's specialty is providing professional investment services for working and retired employees of educational and other not-for profit organizations. He also offers a full range of educational programs on mutual funds, tax-sheltered accounts, tax-deferred investments and insurance products. Jeff schedules seminars and on site workshops throughout the year to educate working investors on topics such as taxes, diversification, saving for retirement and financing a child's college education. Personal one-to-one consultations can be arranged (and are encouraged) to provide continued support and financial advice. Contact Jeffrey today to start planning for your financial goals.